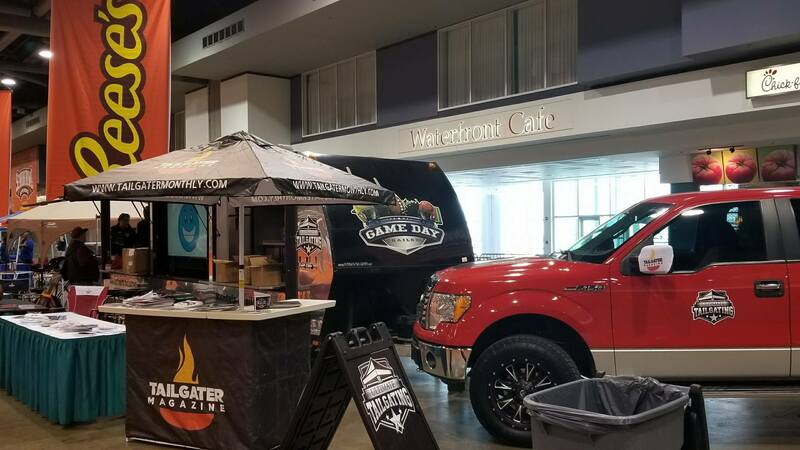 Ultimate Tailgating is the nation's premier event rental company specializing in all-inclusive tailgating, corporate, marketing and hospitality rentals. 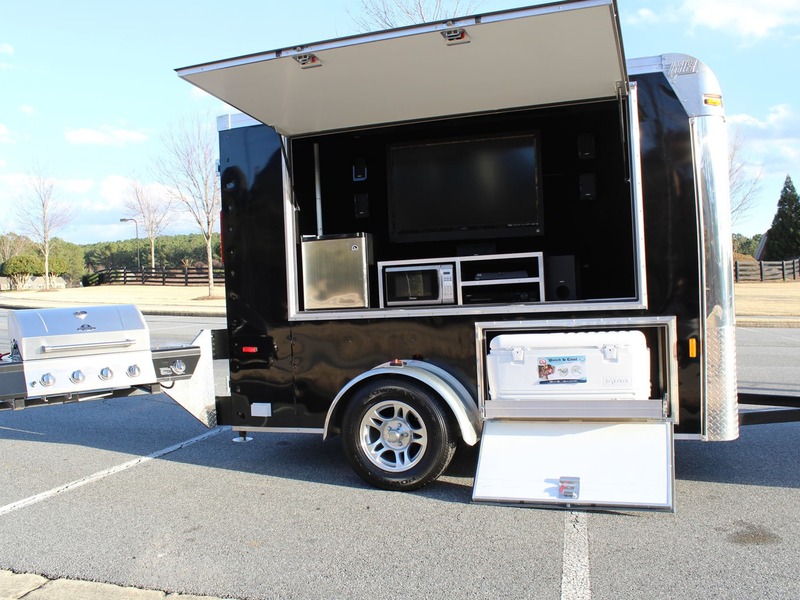 We offer a diverse range of packages and services, from RVs and Motorcoaches to event and tailgating trailers. 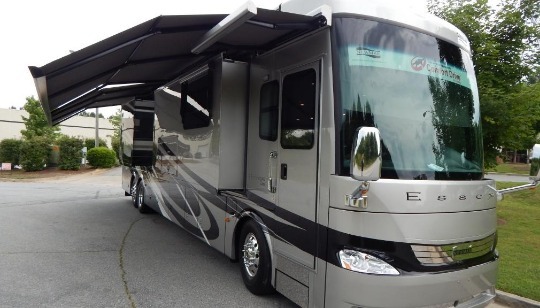 We can make you the Parking Lot or Campground King. 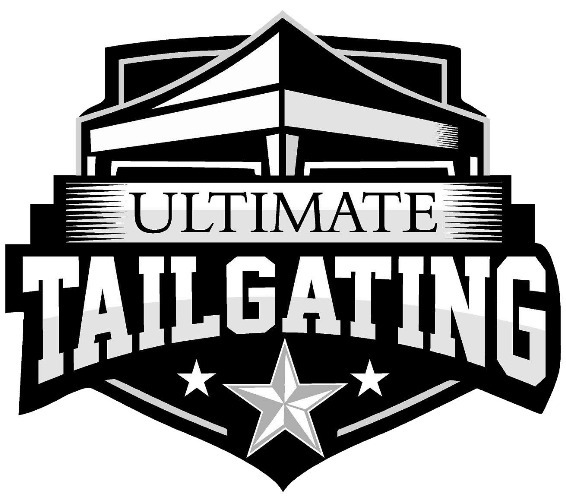 Whether you are looking to impress your friends or WOW your clients and customers, Ultimate Tailgating is the solution. College? Professional? Football? Baseball? Concerts? Tailgate Tours? NASCAR? Yeah... we do it all! With 8 locations, covering over 40 states, we've got you covered. Just show up and let us handle the rest! Tailgating made easy. Our entry package with all the goodies. Larger TV, bigger grill plus a private restroom. 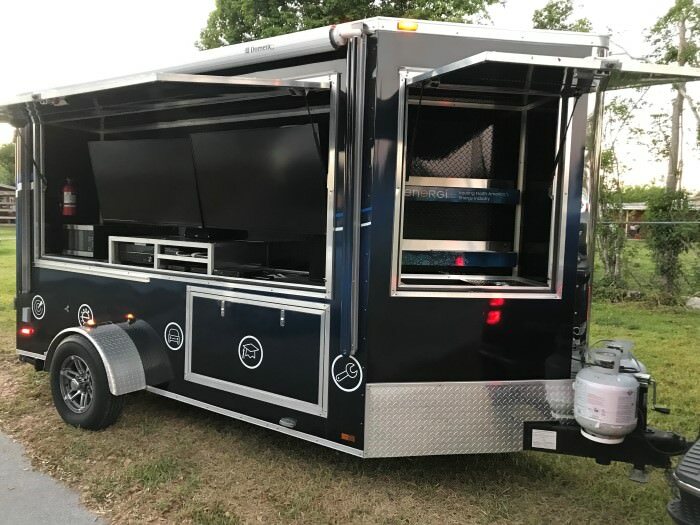 Two TVs, event grill, awning plus outside bar! 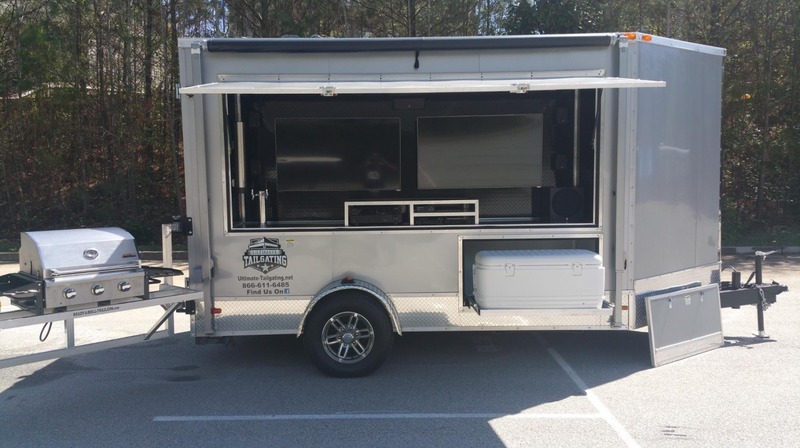 Commercial grill, polar cooler and 70" HDTV. Our most popular unit with two TVs and full service restroom! Interior bar, restroom and 65" HDTV bring the party! The perfect catering and corporate hospitality. Multiple beer taps. 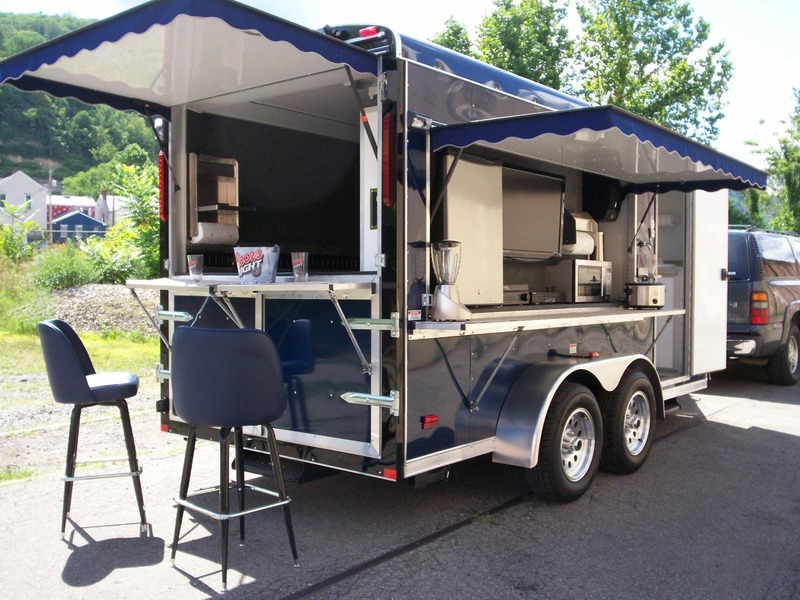 Luxury tailgating for large groups. This big dog has it all! The ULTIMATE viewing screen. Come one, come all! 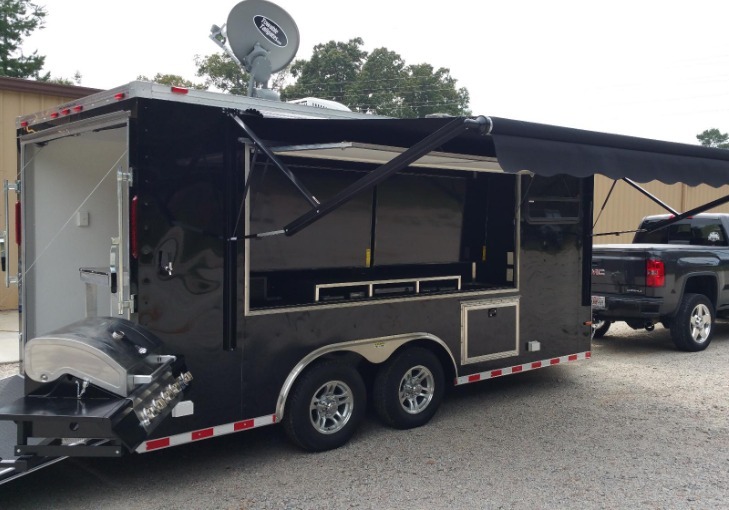 This grill and TV combo will fit in any standard parking space! 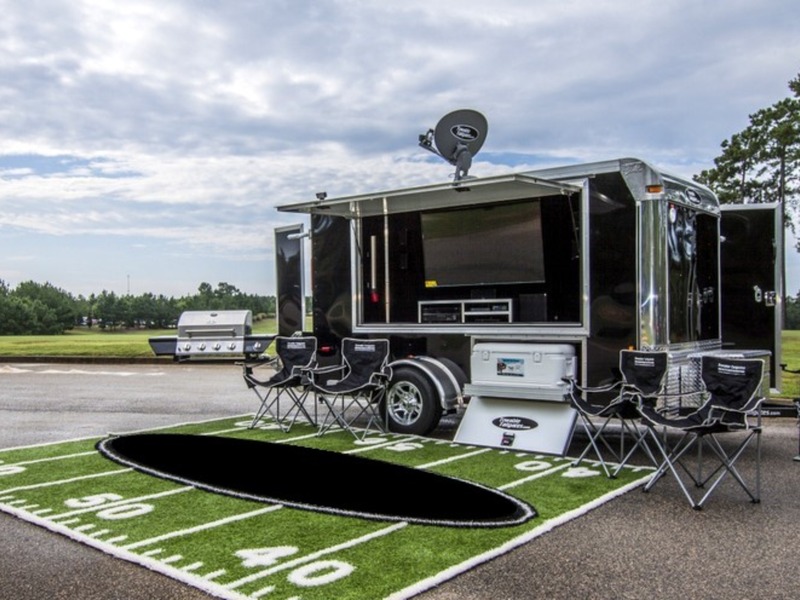 Looking to experience vacations, camping or tailgates like never before? Want to get closer to the action at concerts, football games and races? 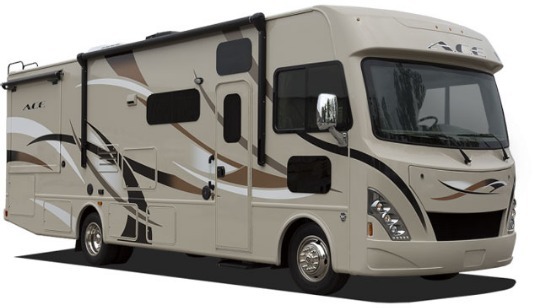 Our RV rental program is just what you need. 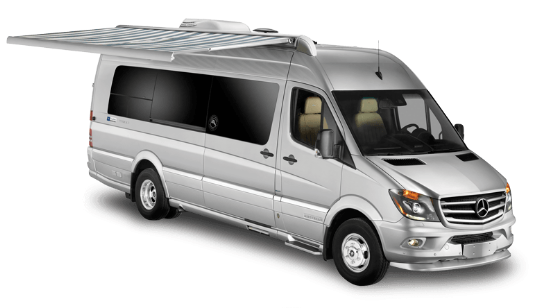 We offer top of the line motorhomes for your next big event. 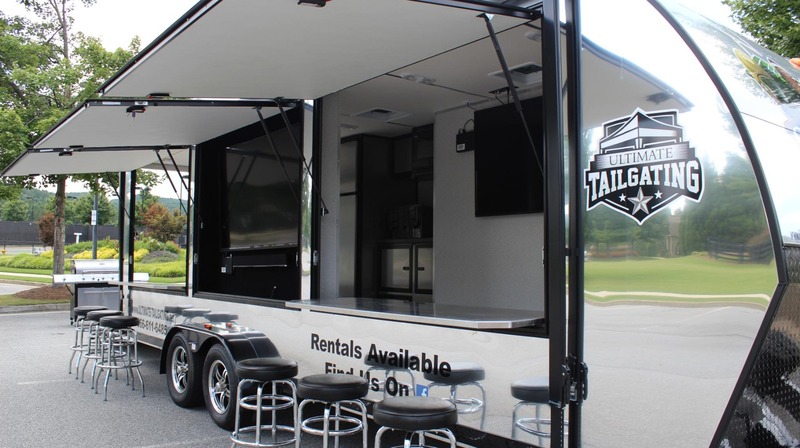 Let Ultimate Tailgating fit you for your perfect home away from home! Click HERE to book your adventure today! Hit the road in Private Luxury. Our entry level bunkhouse with all the comforts of home and sleeps up to 8! 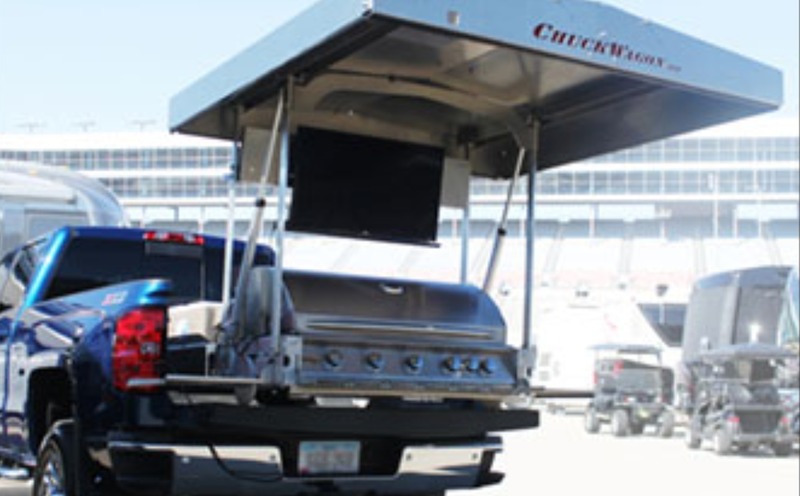 Made for tailgating or family travel. Features a suspended patio and garage! Answer the call to true luxury. 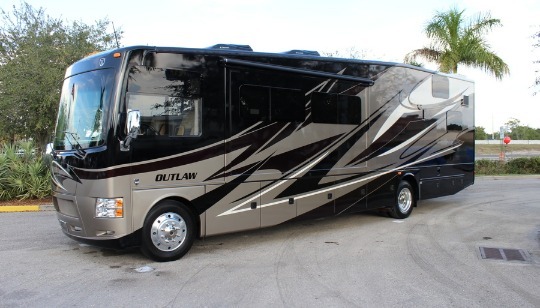 This 45' luxury diesel is ready to take on the open road. Why wait for your customers to come to you? 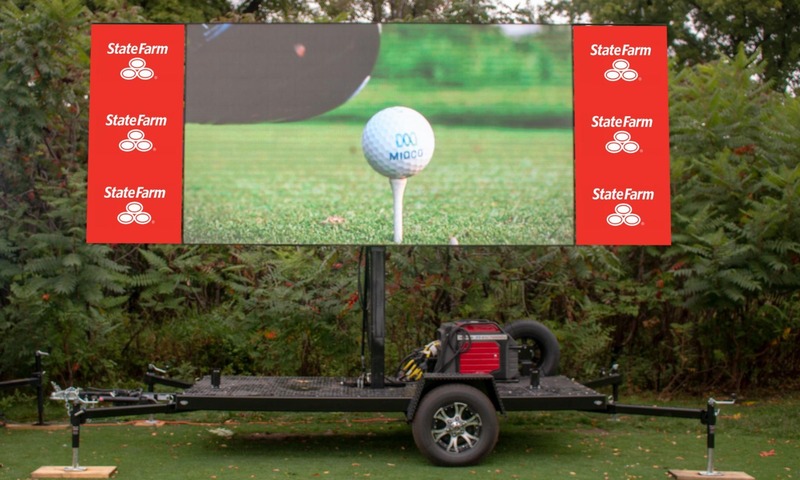 Utilize our event marketing and go to customers directly with a dynamic marketing vehicle! 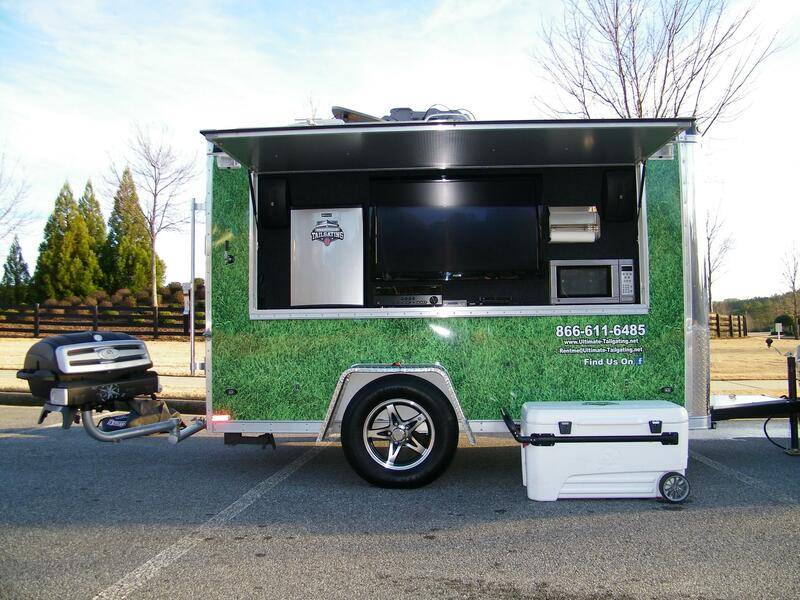 Ultimate Tailgating's event and mobile marketing vehicles are ideal for reaching your customers. Get more information! Just a few of our satisfied corporate customers. Add your company to the list! 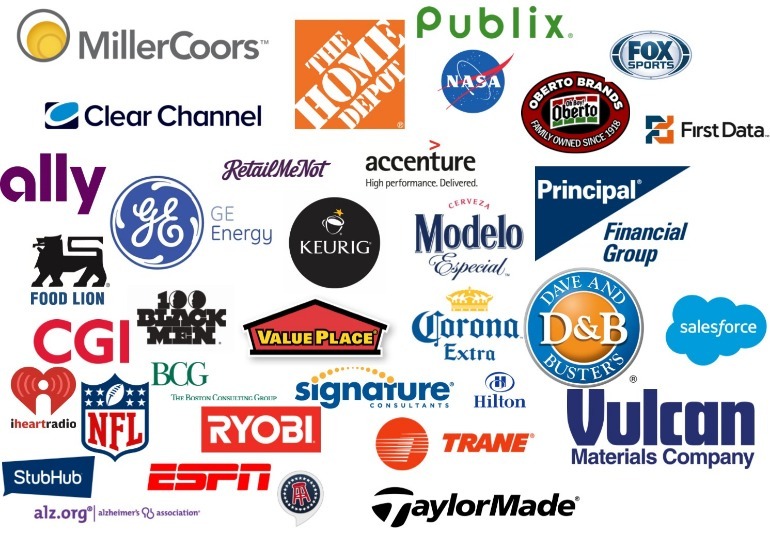 Give some love to our sponsorship partners while enjoying their products and services at our tailgates and beyond! Gear up for your next event at our Tailgate Shop. Still need more information? Fill out the contact section below and we'll get back with you. 8 Locations serving over 40 states!